The world economy will grow 3.3 per cent this year, down from the 3.5 per cent the IMF had forecast for 2019 in January, the fund said Tuesday in its latest World Economic Outlook. The 2019 growth rate would be the weakest since 2009, when the world economy shrank. 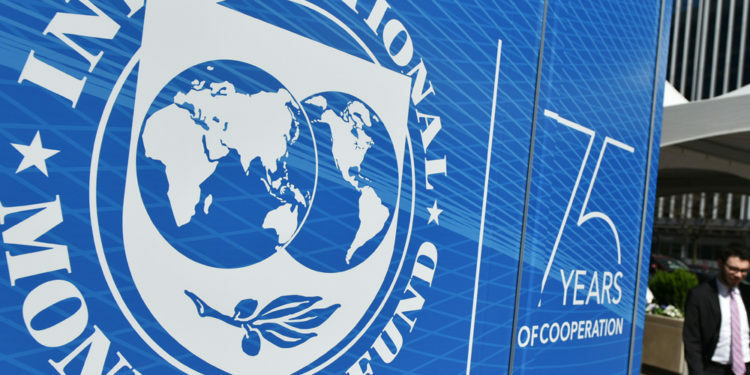 It’s the third time the IMF has downgraded its outlook in six months. The global volume of trade in goods and services will increase 3.4 per cent this year, weaker than the 3.8 per cent gain in 2018 but reduced from the IMF’s January estimate of 4 per cent, the fund’s report showed. Global economic growth will recover in the second half of this year, before plateauing at 3.6 per cent from next year, according to the Washington-based fund. A series of encouraging developments have boosted optimism about the world economy in recent weeks, including the decision of the Federal Reserve to put interest-rate hikes on hold and encouraging data from China’s manufacturing sector and the U.S. job market. The fund cut its forecast for U.S. growth to 2.3 per cent this year, down 0.2 percentage point since the IMF’s last global outlook in January. The downgrade reflects the impact of the partial government shutdown that ended in January, as well as lower-than-expected public spending. The fund upgraded its U.S. forecast next year to 1.9 per cent, up 0.1 percentage point, on the Fed’s shift to a more patient stance on interest rates. The IMF slashed its outlook for the euro area to 1.3 per cent this year, down 0.3 point from three months ago. Growth is expected to be softer in several major European economies, including Germany, where weak global demand and tougher car-emission standards have hit factory production. Weak domestic demand and high sovereign-debt spreads have dimmed Italy’s outlook, while street protests in France weighed on growth, the fund said. The IMF cut its outlook for U.K. growth to 1.2 per cent this year, down 0.3 points from three months ago. The IMF raised its forecast for Chinese growth by 0.1 point to 6.3 per cent this year, while lowering its projection for growth in Japan by 0.1 point to 1 per cent. The fund cut its outlook for India’s growth this year to 7.3 per cent, down from 7.5 per cent in January.